Marvel has a massive job on its hands in lieu of its Phase 3-ender, the two-part Avengers: Infinity War. Ever since the intergalactic conflict was first announced, rumors have circled as to which members of the comic book company’s legions of superheroes would partake in the action. According to the Russo Brothers, the number stands at roughly 67 entrants heading into the Infinity fray. More so, how will Kevin Feige and crew manage to bring together all these diverse heroes and teams who are scattered throughout the Marvel Cinematic Universe? Clearly, The Avengers will play a part in the conflict (after resolving their Civil War, of course), but what about Netflix’s Defenders, Phil Coulson and the Agents of S.H.I.E.L.D. and, of course, Agent Carter (and that’s not even taking into account Cloak and Dagger and Most Wanted). Unlike DC, who decided to keep their cinematic and television universes separate, Marvel has hinted, from time to time, about crossing over their various universes. Yet, as it stands, Marvel’s super-powered forces dwell in a variety of different locations and time periods. And more importantly, they exist in different mediums. Some members of the Marvel Cinematic Universe dwell in the film world, while others are broadcast on television or via streaming services. So how exactly does superhero film maestro Kevin Feige and his production team begin to bridge all those potential gaps in their universe? 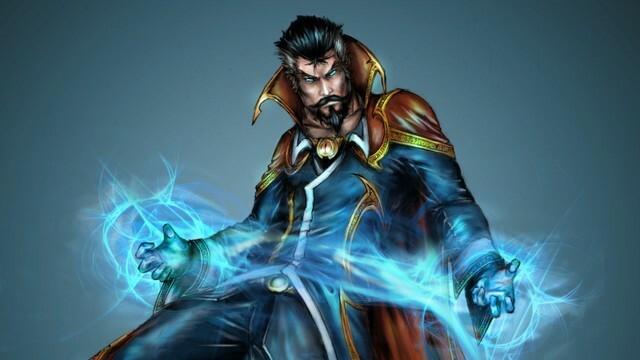 Enter Doctor Strange.